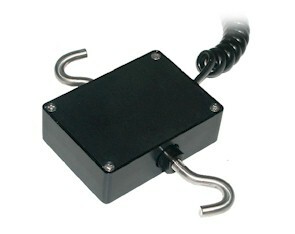 The Mark-10 is a unique product designed for working in conjunction with a variety of interchangeable remote force and torque sensors listed below. The sensors do not require calibration or setup - the BGI automatically recognizes any sensor. All configuration and calibration data is saved in the sensor's connector. Simply plug and play! Force measurement sensor for tensile and compressive loads in a wide variety of applications, available in capacities from 0.25 lb to 100 lb. Thread on two sides can accept a variety of hooks and implements, making this sensor particularly well suited for inline tests. 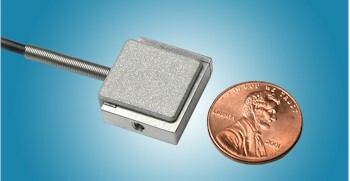 Extremely compact force measurement sensor for tensile and compressive loads in applications with limited space. 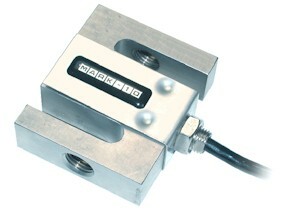 The Series SJR is available in capacities from 0.25 lb to 100 lb (1 N to 500 N). Every capacity has the same miniature dimensions: 0.85" x 0.30" x 0.75" (21.6 mm x 7.6 mm x 19.1 mm). The sensors feature outstanding mechanical overload protection of up to 1,000% percent of full scale for most applications and threaded holes on two sides for the mounting of attachments or implements.